The market for Micro Irrigation Systems in Indian is growing at a phenomenal pace. Kimplas has developed new products, benchmarked against the best in the industry and offers a product basket of Components to OEM, Distributors in Micro Irrigation field. Kimplas has a well equipped Product Development Team which keeps pace with the technological developments in the field to extend innovative solutions in the form of more products in the basket. 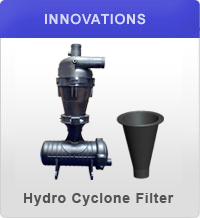 In Irrigation Segment, we have range of products which are most suited for Advanced Irrigation Systems.